I CAN´T WAIT TO READ THIS BOOK! Heir of Fire is one of my favorite books ever, and I NEED to know what happens next. This is my most anticipated release of the year and I only have to wait five more days. I cant believe it! If you haven’t read this series, what are you waiting for?!! Seriously. I have a feeling that this is going to be on a lot of people's posts this week, as excitement is running VERY VERY HIGH for this one!!! I honestly can't wait to read it, I hope you like it! Very excited for this one! I'm actually going to have to binge-read the series this weekend because I haven't read book 2 or book 3 yet…. And I only vaguely remember book 1 because I read it when it first came out way back when. I seriously need to pick up Maas's books. Thanks for sharing! For me, the series gets better with every book. Heir of Fire is definitely my favorite. I hope you can read them all soon! You should! Her books are great. I totally recommend them, especially, if you are a fantasy fan. OMG YES. SO.MUCH.YES. I need this book like air. I have a feeling it will destroy all of our hearts and souls but it doesn't matter because it will be EPIC 😀 Fantastic pick, September can NOT get here fast enough LOL! YES! This book is going to be amazing! I can't wait to get my hands on it! I haven't read the first one yet, but I have it on my TBR shelf to read soon! 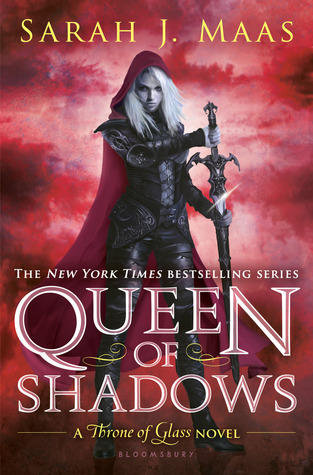 Loved ACOTAR, so I'm sure I will love this series too. Great pick! I haven't read (yet) because I'm too far behind now and it's just easier to wait for the series to be finished! Sometimes it's more fun to binge read, anyways. I hope you enjoy it!